Sundown is a wonderful community of condominiums that face the Gulf and back up into Old River. Located on Perdido Key Drive, Sundown consists of four low-rise buildings, offering so much more privacy than the average high-rise beachfront condos. Each condo has its own large balcony with expansive views of Old River, and Ono Island beyond that. Only three stories, the third-floor units have an almost unobstructed view of the Gulf Coast waters, with no building in front. A deeded community beach access is steps away. Sundown offers one, two, and three-bedroom units with prices ranging from the high $100,000's, mid $200,000's and near $300,000, respectively. Originally built in 1980, the condos have all been renovated and upgraded to meet today's standards. Beautiful tile flooring, stone countertops, large airy kitchens, and windows at every opportunity ensure a bright and roomy home that will thrill you as soon as you walk in. The amenities of Sundown go far beyond the average waterfront condos in Pensacola. An Olympic-sized swimming pool, tennis and basketball courts, grills, picnic areas, and on-site property management provide convenience and entertainment for all. 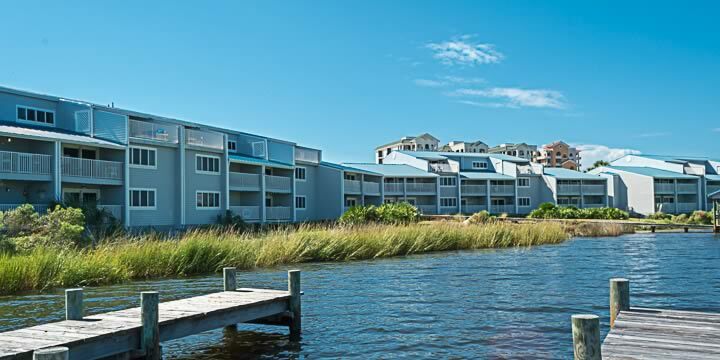 Pet and family-friendly, owners and guests can watch dolphins play from the two community docks along Old River. Boat slips are available, as well as storage and a boat launch just steps from your condo. Fishing and crabbing are allowed off the docks as well. On the water, Old River joins the Bayou St John, providing unlimited waters and places to explore by boat or jet ski, as well as access to the Gulf. Although so many attractions are close by, the Crab Trap restaurant across the street, Flora-Bama Club and Dining, and the Perdido Key State Park are just minutes from the community. 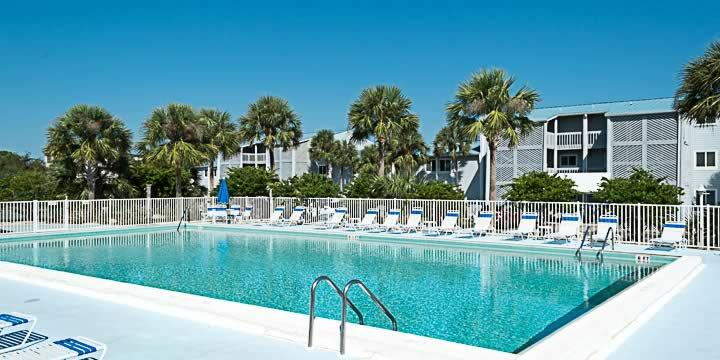 The condos in Sundown at Perdido Key offer so many things to do and see you will wake up every day to fun and sun. We here at Emerald Coast Realty find Sundown condos some of the finest offered in the Pensacola area, and one of our Realtors would love to show you around the community. Call Emerald Coast Realty for a tour and more information. Have a look at the Sondown Condo Market Report, it shows buyers the current listings, pending sales, and recent sold condo units at Sundown over the last 12 months. 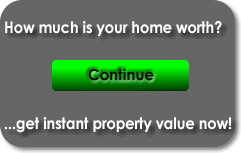 Both buyers and sellers utilize this market report to determine the current market value of a specific condo unit.